While the majority of tourists do not go beyond the Vatican Museums, Borghese Gallery and Colosseum, Rome has a wealth of excellent small museum overshadowed by their grand famous neighbours. Check them out if you want to escape the crowds and discover the less known side of the Eternal City. A treasure trove of ancient Etruscan artefacts, this beautiful 16th century villa is a little out of the way but is certainly worth a visit. Spend some time admiring delicate golden jewellery, exquisite hair combs and elegant kitchenware. There is also a stunning sarcophagus with the life-size aristocratic husband and wife from the Cerveteri archaeological site and majestic statues of Etruscan gods. Chill out in the Villa Giulia’s pretty garden with a nympheum built for Pope Julius III. 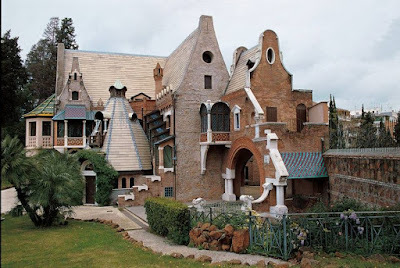 This stunning privately owned museum houses a large collection of Medieval and Byzantine art as well as some impressive works by Velazquez, Caravaggio, Titian, Raphael and Bernini. On the audioguide you will hear the voice of Prince Jonathan Doria Pamphilj who will tell you about the collection and history of the palace sharing some fascinating family anecdotes. Sitting on the grounds of Villa Torlonia park, this magnificent building used to be a residence of Prince Giovanni Torlonia until 1938. Today it houses a small Museum of Liberty Stained Glass. Fascinating inside out, the villa has numerous elaborate stained glass windows and doors depicting birds, butterflies and owls (hence the name, The Small House of the Owls). 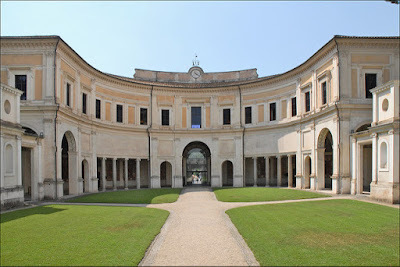 Walking inside it feels like stepping into a fairytale world and its enchanting atmosphere is unlike anything in Rome. After the visit, enjoy a relaxing walk in the beautiful park. If you find all things crime fascinating this is the museum for you. Originally accessible only to government officials and the Italian police forces for training purposes, the Museo Criminologico opened its doors to the public in only 1994. 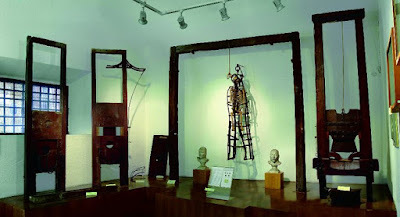 Some of the museum’s gruesome artefacts include whipping benches, torture chairs, guillotines, the gun used to assassinate King Umberto I as well an interesting collection of fake art and expositions dedicated to Italian murderers and early forensic techniques. Photos by: Jean-Pierre Dalbéra/Flickr, Musei di Villa Torlonia/Facebook, , Museo Criminologico Roma/ Facebook.